I enjoy movies from Focus Features quite a bit. Why? They are different and unique. Not so trendy to be watered down like so many blockbusters (not that all blockbusters are lacking. ), yet not so indie to not be afforded the opportunity of a larger audience. Traditionally loaded with a sense of style that blends independent films and major theatrical releases together, most of the movies from this ten-year old company focus on characters and human relationships more than just on explosions, special effects, and superheroes. This dual-review post looks at the 2 most recent Focus Features films to hit theaters: Seeking a Friend for the End of the World and Moonrise Kingdom. Enjoy! Starring: Steve Carell (Dan in Real Life), Kiera Knightley (Pirates of the Caribbean), and Melanie Lynskey. “The sky is falling! The sky is falling!” Chicken Little’s warning of woe is all that went through my head upon first seeing this trailer. The earth is under threat of a cataclysmic end and with 3 weeks left, a recently single hopeless romantic and realist (Carell) sets out on a mission to find a long-lost love. He is unsuspectingly encouraged and joined by his free-spirited and energetic neighbor (Knightley), and the two embark on a crazy road trip adventure that ranges from encountering assassins for hire to memories of happier days with loved ones. In the midst of a world full of looters, suiciders, rioters, partygoers, and embracers of the end, the film offers a plausible look into what the world might look life if the end was known, and dares you to consider how exactly you would spend it and with whom? It also presents the importance of seizing opportunities to do good to those around you at all times. Though a little cliché and sappy occasionally, the adventure along the way is far from usual and expected. Steve Carell and Kiera Knightley do not venture far from their comfort zone caricatures which enables the true essence of their characters to shine through. With hints of several underlying developing stories and predictable outcomes, the one question that lingers throughout the entire movie is: Will the earth really end or no? 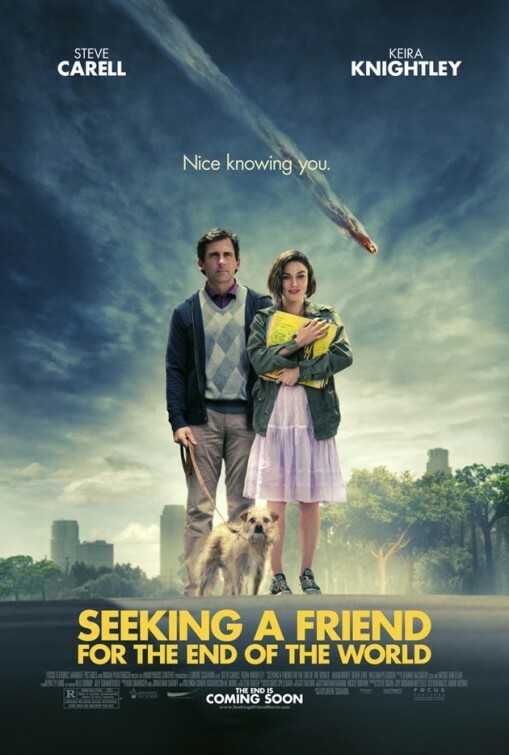 This film surprised me in its cameos, delivery, messages, side stories, and ending, and, although the movie looks like a road trip to seek the “one that got away,” it also carries so much more meaning and encourages mankind to not wait for catastrophe to strike to seek friendship, love, and meaning. An enjoyable flick worth a watch. Seek it out in theaters or on DVD and Blu-ray soon. Starring: Jared Gilman, Kara Hayward, and Bruce Willis (Die Hard). Much like Rock of Ages, the two leads in this film are young and rather unknown, yet are surrounded by a talented and veteran supporting cast including the likes of Ed Norton, Bruce Willis, Tilda Swinton, Jason Schwartzman and Bill Murray (two Wes Anderson movie regulars), Frances McDormand, and more! 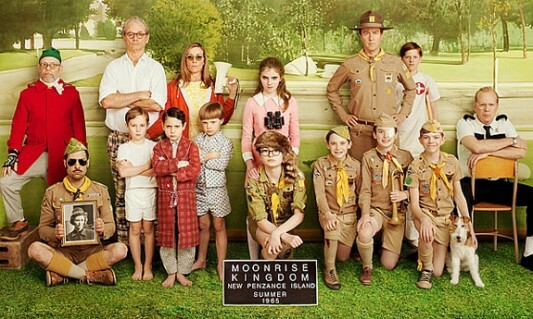 However, much unlike Rock of Ages, Moonrise Kingdom offers so much more to enjoy than just good music. 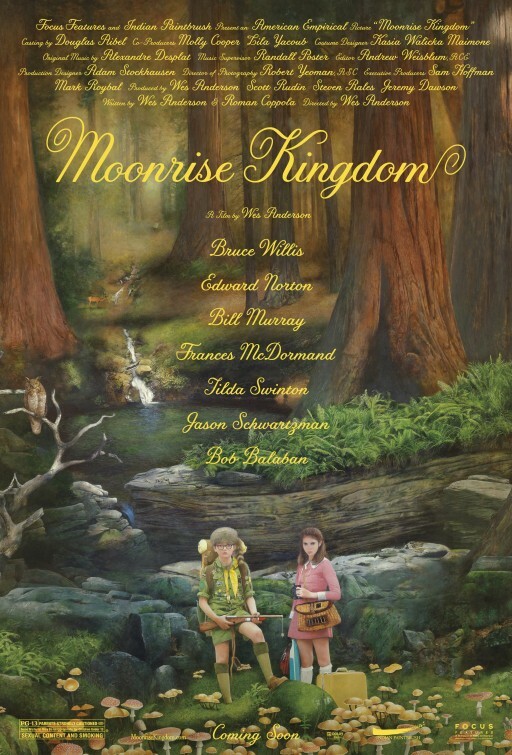 With a soundtrack which accompanies the fantastic look and feel of this movie (and one that I must buy), Wes Anderson blends style, adventure, and innocence in this recent film of his entitled Moonrise Kingdom. What a delightful and soothing treat of a movie to enjoy! Wes Anderson (known for a style unique and all his own) has honored us with an enjoyable film full of quirky characters and adventure. 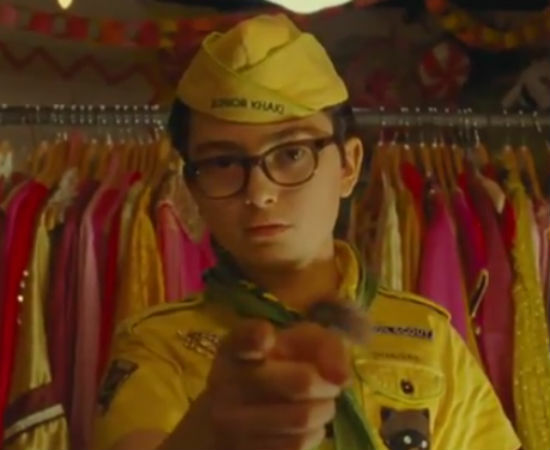 Though, perhaps, a slight deviation from his previous films (not as melancholy or drama-filled as Darjeeling Limited, The Royal Tennenbaums, Rushmore), Moonrise Kingdom is quite whimsical, cooky, adventurous, and just plain fun and delightful. From the first trailer, I knew I HAD to see this film (the poster alone already had my attention). One may be tempted to try to compare this film, at first, to the likes of Napoleon Dynamite…but you’d be sadly mistaken, whether you like N.D. or not. Wes Anderson tells a story based in the mid-1960s in which an ostracized, yet highly self-reliant member of the local Khaki scout group of the island community. ventures to find and marry the love of his life from which he departed from a year before. And, boy, what an adventure they have as they run away to be together. This story of innocence and innocence lost is as much a story of love and discovery as it is a story that celebrates uniqueness, family, and perseverance. Full of wonder, Moonrise Kingdom will make you happy, want to be a kid again, fall in love again, and possibly even wish that you had a scout leader as “competent” as Ed Norton. Though it contains some outlandish people and events, it is quite the fantastic work of art. Receiving nothing but mainly praise, Moonrise Kingdom is a spectacular time period film (possibly Anderson’s best), that will leave you feeling good and believing in love, happiness, and hope in mankind. Plus, the kid is the coolest character ever! ha! I hope you choose to see Moonrise Kingdom, Scott. I would love to know your thoughts on it. I really loved it. ha.